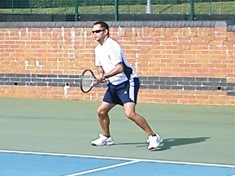 We are a friendly, long established tennis club close to the centre of Wakefield, West Yorkshire, offering tennis for all players, from beginner to intermediate to advanced. 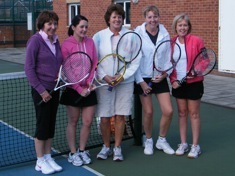 All ages and genders are welcome to join Wakefield Tennis Club! For membership information please go to the Membership page. The club is based at Wakefield Girls High Schoool, (QEGS Playing Fields), Blenheim Road, Wakefield. We have excellent facilities including 3 high quality acrylic hard courts, 4 good quality tarmac courts with seasonal use of 9 all weather astroturf courts. We have full use of a purpose built clubhouse with tables, chairs, toilets, showers and a kitchen. 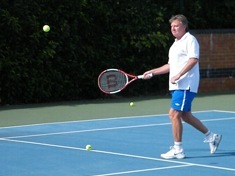 The club outdoor season runs from the first Saturday in April until the end of October. However we play throughout the rest of the year whilst the weather remains fine. Once the nights draw in we play on Saturday afternoons. 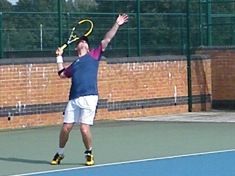 Club social tennis sessions take place on Saturday from 12:30pm and Tuesday from 5.30pm Everyone is welcome to come along - you'll get a good mix of games with people of differing standards. Tennis balls provided. Some players might like to improve their ability. 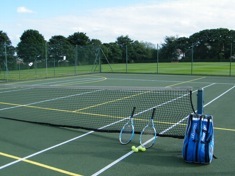 Wakefield School of Tennis are official coaching providers to Wakefield Tennis Club see https://www.wakefieldschooloftennis.com/. Coaching available for all ages and abilities, from young children to adults. 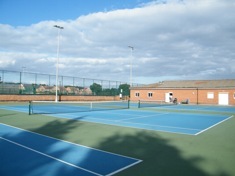 Wakefield Tennis Club is about two miles from Junctions 40 and 41 of the M1, and about three miles from Junctions 29 and 30 of the M62. We are within easy reach of Leeds, Rothwell, Woodlesford, Castleford, Pontefract, Dewsbury and Barnsley.